Time flies. Or at least it feels that way. Ever since the gorgeous Fall For You hit the airwaves back in 2013 I’ve been waiting for something as perfectly formed to arrive. And once again its April Morgan’s beautiful, heart-warming vocals that set the fires alight, although of course Sandy Rivera’s tastefully crafted beats plus richly, soulful chords are all an essential part of the equation too! Put it this way. You can sense that warm glow of sunshine rising across your face when you listen. It’s good to hear a song like this again. 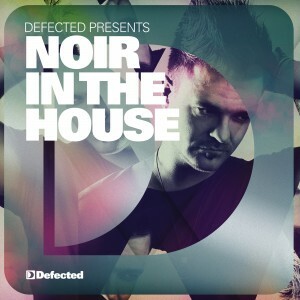 I guess it’s fair to say that this mix by Noir for Defected’s In The House series is pretty much on the money. And in ways it captures the essence of what’s going on in House music today. Now that we have the obvious benefit of hindsight with regards to roots and influences (real and distorted) it’s telling how much this selection touches upon sounds from the past as well as hitting tomorrows tone. Also worth noting just how contemporary Sandy Rivera ‘Changes’ from 2003 still sounds today and by the time it blends neatly into Noir’s own aptly titled ‘I’m Satisfied’ somewhere around the 30 minute mark the temperature has seriously intensified. The deeper moments are well represented and the dancefloor movements reach their peaks at various points throughout the journey, but what is always truly consistent is the sheer quality of music and vocals, plus the excellence of the mix itself. If further proof is needed then simply check the playlist which opens with dOP ‘Kisses’ and ends on Shlomi Aber ‘We Dont Fit’. Just Be aka the new solo project of Matthew Bushwacka is a delicious way to start 2013. And after all the trimmings care of 2012 this production clearly points to the direction we want to be going. 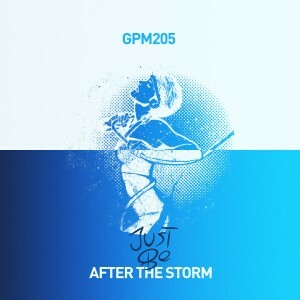 After The Storm, begins by building your expectations via deep, bass-heavy beats alongside edgy percussion and then adds in vocal touches and punchy piano chords to reach the next level on the ‘Up Mix’. The ‘Deep’ version follows with a more Cosmic feel to the synthesizers along with what sound like Flutes to accompany them. Next and finally, Out Of The System adds Techno notation together with staccato drums and more spine-tingling atmosphere for your heightened pleasure. 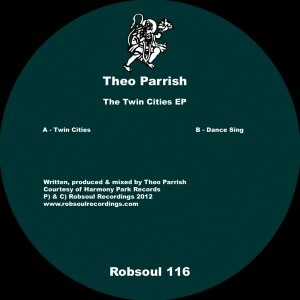 As you can expect from Theo Parish this music is set to challenge you while making dance. Licensed to Robsoul from Rick Wade’s Harmonie Park the title track cleverly blends old-time Jazzy vibes with abrasive percussion to sound both exploratory and feel-good. Backed by a succession of mellow piano notes and punctuated by atmospheric stabs this strange blend binds together disparate elements while retaining an evocative mood that sits somewhere between melancholy reflection and a bizarre hint of Disco, or am I imagining that? But either way this is tempting, exceptional music. Second track, Dance Sing continues further down the path of your imagination with picturesque ideas played out over equally rough beats, which this time run to over fifteen minutes, yet never once feel uninspired. Returning with their third release sister label Fixia compliment Jamie Anderson’s original Artform with these latest productions from London based artists Roberto and Nick Dubz. Comprised of two equally striking pieces of music, however, it’s The Blind Leading The Blind that hits a particularly resonate chord. Driven by deep pulsating, tribal drums and accompanied by hypnotic ambient repetition this moves beyond the dancefloor into somewhere else creating a unique mood with its own sense of sound and voice – a great composition. 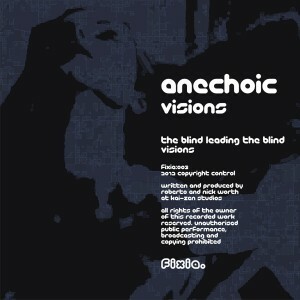 Visions, on the other hand feels that bit tougher, mainly because of the Techno bass, which along with brighter synths is a perkier, more energetic affair.